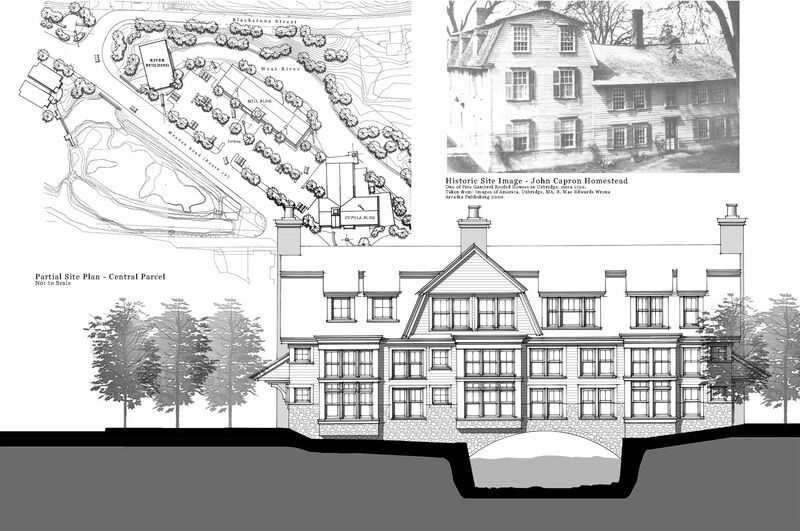 Uxbridge Mill Renovation - SMOOK Architecture & Urban Design, Inc. 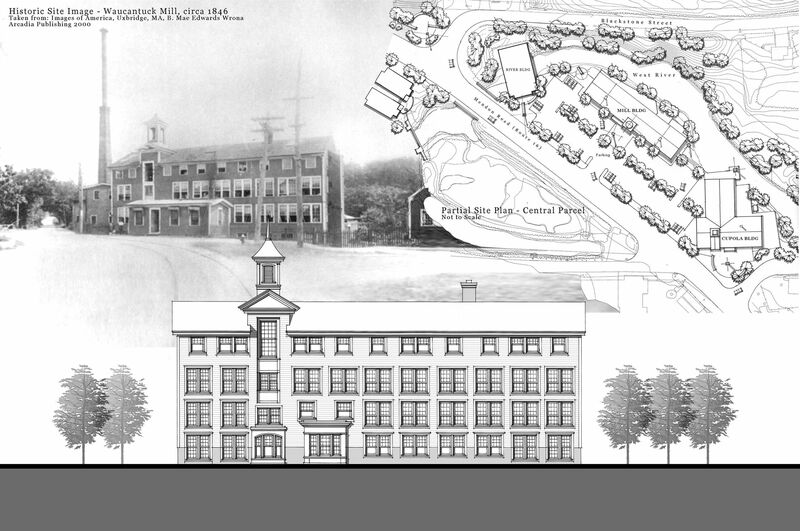 This project included the redevelopment of three derelict mill buildings in Uxbridge, Massachusetts. These buildings had been renovated and reconfigured many times over the years. Due to structural considerations, it was determined that the buildings should be razed; however, it was the desire of the Town and the Developer to be respectful of the building’s past, their historic character, and the site’s prominent location. 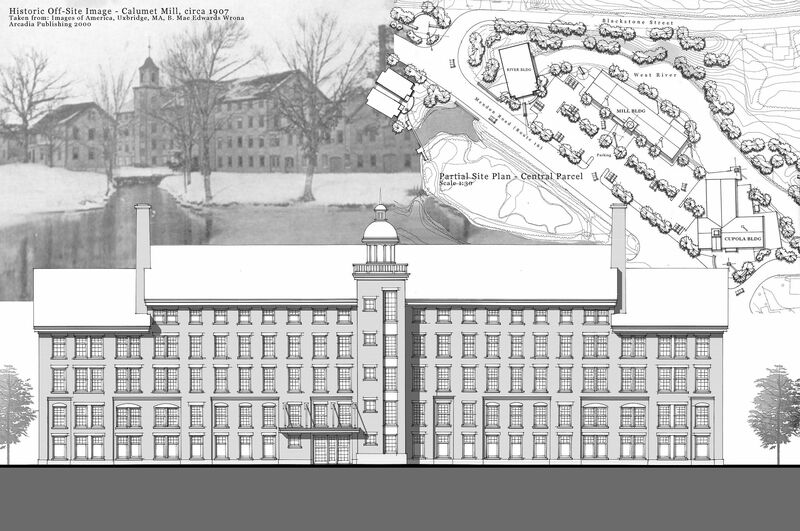 The final four and five-story, 140-unit design pays homage to the architectural style of the original mill buildings. 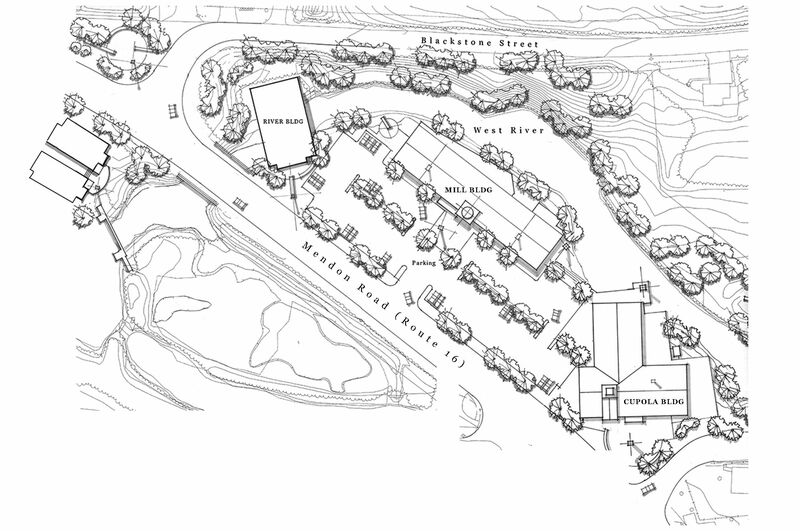 The project has received all of the necessary approvals, and is awaiting construction financing.